about this book: Do you know that over 40 million Americans relocate every year? That translates into about 14% of the population. As a California real estate agent, I have helped hundreds of individuals and families find home. I've watched people rely on limited information to find the best city and neighborhood. I wrote this eBook to help my own clients and millions of Americans who are planning on relocating for either business or personal reasons. As a Life Coach with a Ph.D. in psychology, my broad experience and education give me a unique insight into the search for home. My book can help readers use reliable, online resources and their intuition to find the best city and house to call home. The book includes an exclusive 45-question quiz to help readers clarify the best home for them. 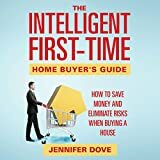 • "Attention every home buyer in America—take the quiz in Claudia Rose's book before you begin your house search and you will find your home" — Viki King, best-selling author.